Wandiligong is a small town of about 250 people, 330 km northeast of Melbourne and 6 km south of Bright. Established in the 1850s during the Victorian gold rush, it was at one stage home to over 2,000 people. The whole town is now registered with the National Trust as a historic landscape and features historical buildings such as the Manchester Unity Public Hall (built in 1874), the general store, several churches and a number of quaint cottages. The town is set in a picturesque valley surrounded by forests and mountain ranges. 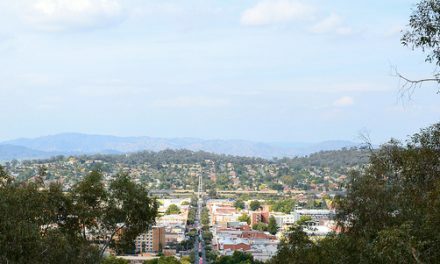 The National Trust describes the Wandiligong Valley as a small valley of great charm where the buildings achieve an excellent affinity with the landscape, a pleasant mosaic of patterns, forms and colours woven carefully together to achieve a satisfying blend. 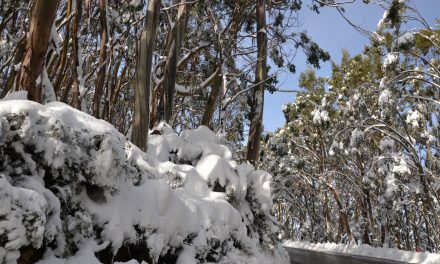 Michael Smith, a former editor of the Age has described the Wandiligong Valley in his book “Downsize Me” as being “in the same postcode as paradise”. Wandiligong is also the subject of a song by noted folk singer, Eric Bogle. Wandiligong is an aboriginal name, whose actual meaning has been lost. It may refer to a place of the echidnas, meeting of the waters, spirit place or the little bushman. The aborigines inhabiting the lower Ovens, Kiewa and King Valleys are from the Theddora-Mittung Group of the Jaithamathang tribe. 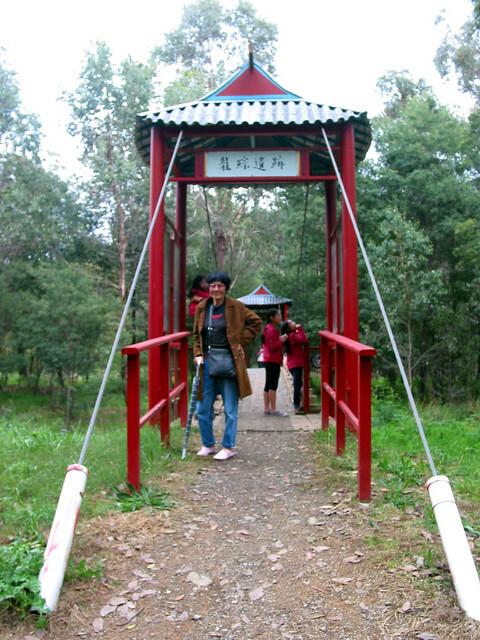 Several walks show the visitors the beauty and rich history of Wandiligong Valley. 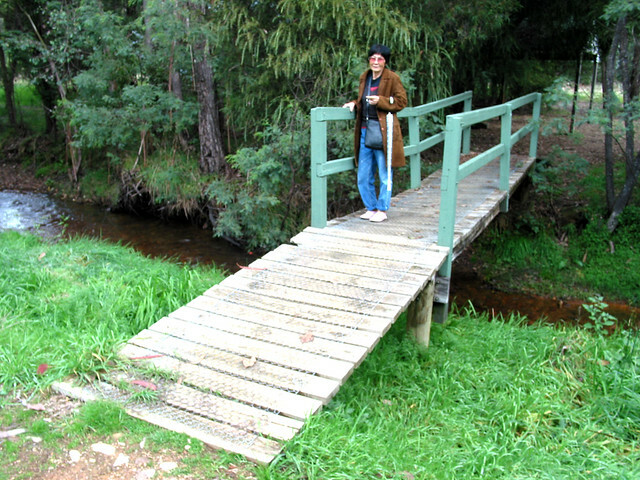 The Wandiligong Walk is a 5km, 2h return walk along the course of Morses Creek, which runs through Wandiligong all the way to Bright. Native eucalyptus shade much of the track. The Wandi Wander (2km, 1h return) starts at the Alpine Park, created in 1877 for community entertainment, with a majestic two storey pavilion, ornamental lake and band rotunda. The pavilion and rotunda were reconstructed in 1972. Next, wander past the Manchester Unity Hall. See the impressive Wandiligong Primary School at School Road. Its first section was completed in 1877 and extended to accommodate 300 students during the gold era. It is situated along a scenic ridge which provides good views west across the town against a stunning backdrop of forested mountains. Go past the Public Library (built in 1878 and recently became a studio for some talented local artists), the Holy Trinity Anglican Church (1865), the Wesleyan Methodist Uniting Church (1878) and the Post Office (1885, used to be the General Store). 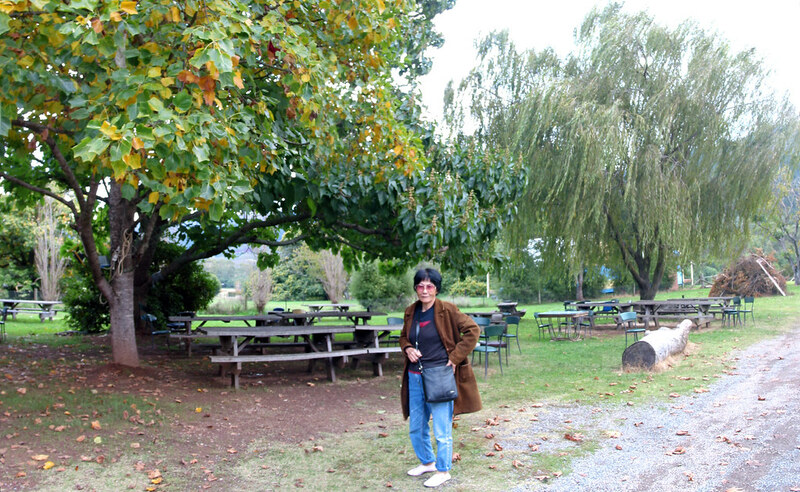 The walk continues through “The Diggings” along Morses Creek. 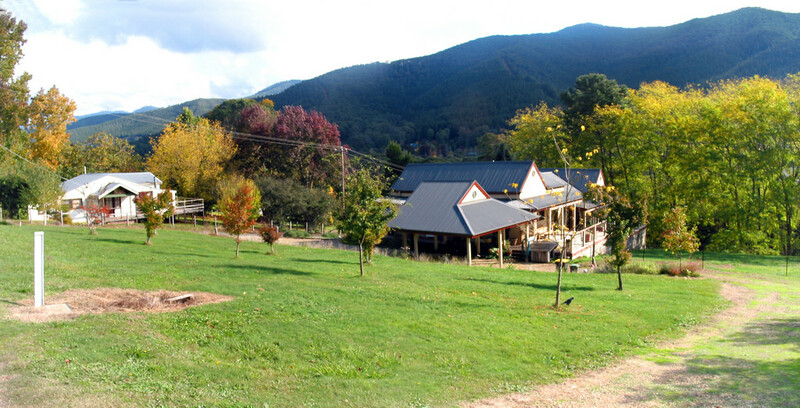 Royal Bridge Walk (2km, 1h) starts at Royal Bridge, passes the former Police Station and the Williams United Mine and returns past the iconic Mountain View Hotel, also known as Wandi Pub. Wandiligong’s gold history can be explored at “The Diggings” which can be accessed via Centenary Avenue. 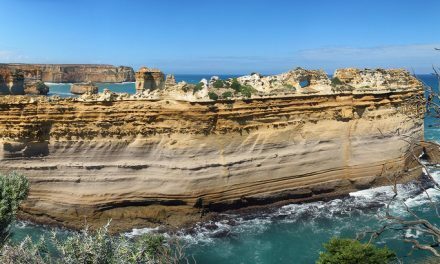 It was the site of a small gold rush, the Growlers Creek being panned during the mid-1850s for alluvial gold and later by tunnelling into the quartz reefs. 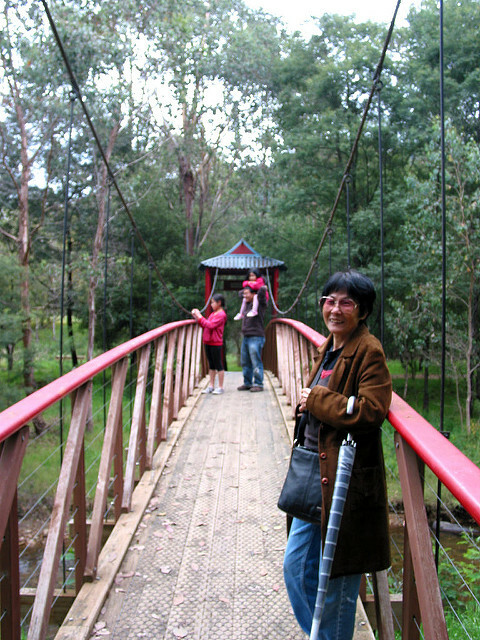 It has been beautified with walking tracks and several footbridges across both Morses Creek and Growlers Creek. In 2003, the Wandiligong community erected a swing bridge, crafted with a traditional Chinese design, across Morses Creek to commemorate the contribution of the Chinese miners. The scars of mining have now been hidden by regrowth of vegetation, which were planted by the pioneers. The Wandiligong Maze is Australia’s largest living hedge maze with 2 km of pathways, surrounded by gardens. The maze was built from 850 Cypress Lambertiana, planted in March 1990, with two towers within. It is surrounded by an extensive cottage garden filled with annuals, perennials and over 200 heritage roses. There is a cafe offering milkshakes, salads, pies, sponge cakes, coffee, tea and scones. 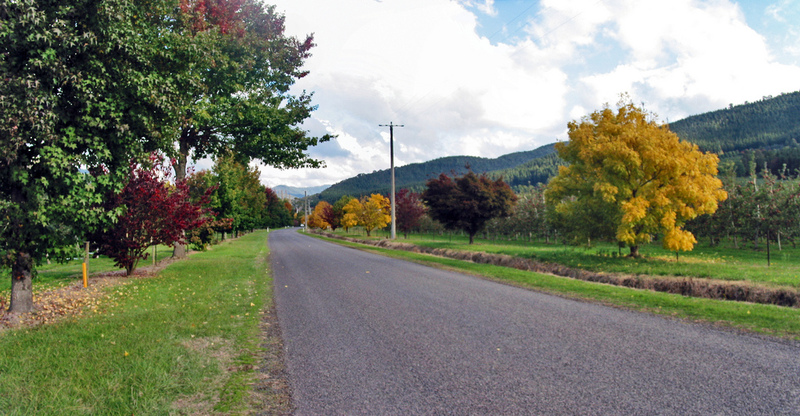 A popular scenic drive is south along Morses Creek Road, past the Wandi Pub, across Morses Creek and through a valley lined with fruit orchards, nut groves and tobacco fields. 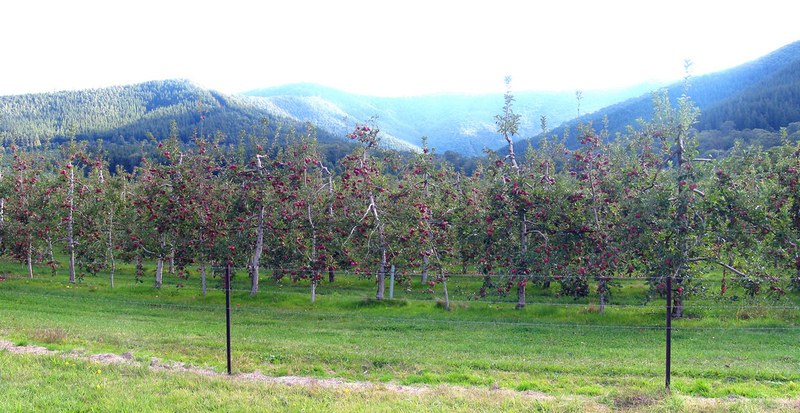 You can see the Alpine Apple Orchard – the largest apple orchard in the southern hemisphere as well as the renowned Wandi Poplars, at their best during autumn. 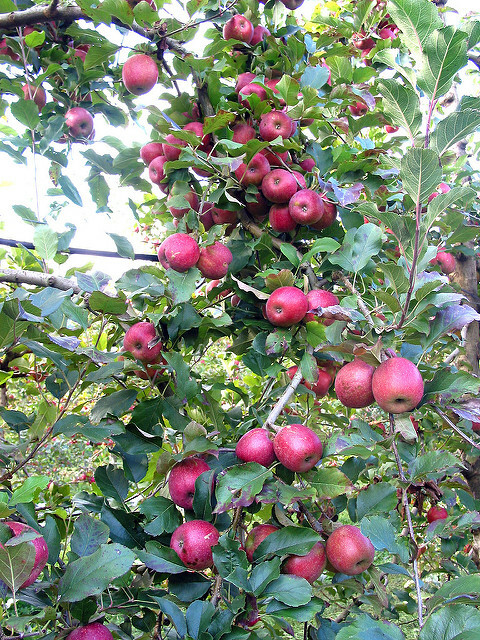 It happened to be the fruiting season, with bunches of tantalizing apples dangling from the trees. 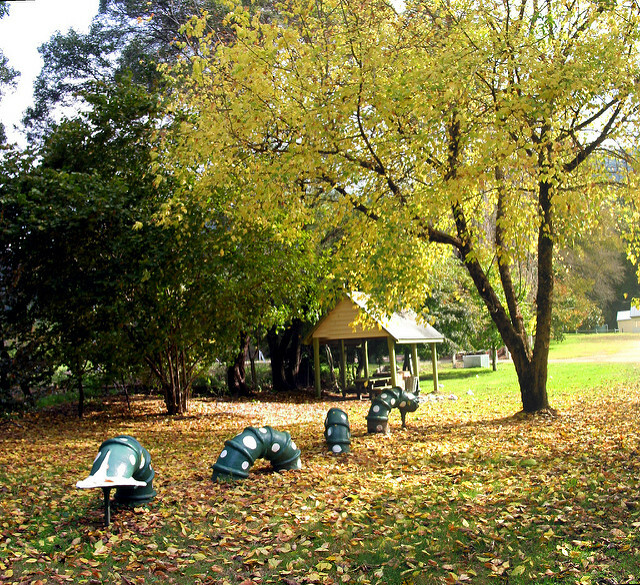 Wandiligong is known as the Nut Capital of Victoria. Come each April and May, walnuts and chestnuts will fall from the trees in orchards, backyards and street lanes where they are gathered by residents and visitors. The Wandiligong Nut Festival is a 2-days annual festival celebrating this harvest. The festival began in 2001 as a low-key, local affair but has since grown to include a market, art, music, food and wine events. 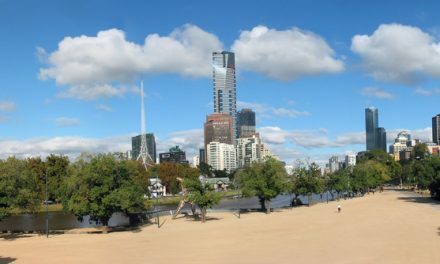 The highlights of the 2011 Festival include the “The Largest Nut” competition where the three categories of walnuts, hazelnuts and chestnuts were displayed and judged at Alpine Park. NextHow does Australia measure up?